Grey Eagle Resort and Casino in Calgary was the venue of the last Sangerfest. With a view of the Rocky Mountains on the western horizon, 10 choirs of the Prairie Sangerbund gathered for a final gettogether. The enthusiasm was great and the singing was spectacular. 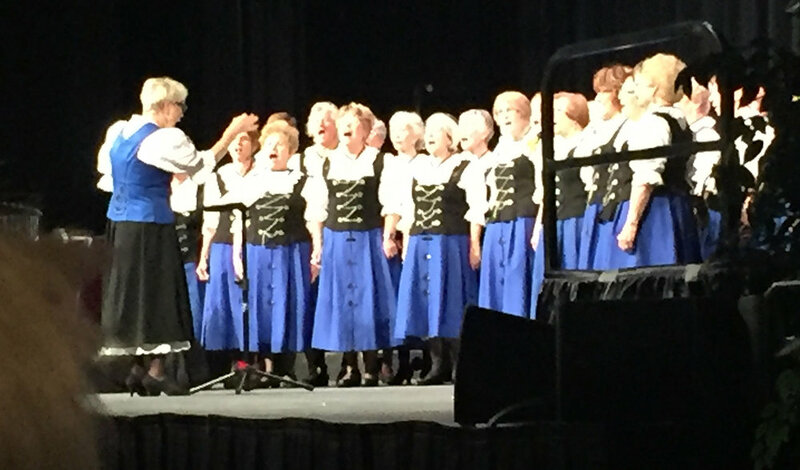 With all choirs on stage in a mass choir they repreformed a song from the first Sangerfest 50 years ago – Die Himmel Ruhmen – to the delight of all attending. The decision to discontinue the Sangerfest tradition was due to the declining membership in the choirs. Also, the aging choir members increasing difficulty in travelling and participating became a major consideration in this decision. Non-the-less, the 2017 Sangerfest proved to be one of the best. The participant waxed nostalgic with a sadness of an end to a golden era of German music on the Canadian Prairies. Sangerfest organizers talked about the possibility of organizing similar get together’s down the road.